Week 12? Can you believe we are a quarter of the way through this year already? Where did the time go? 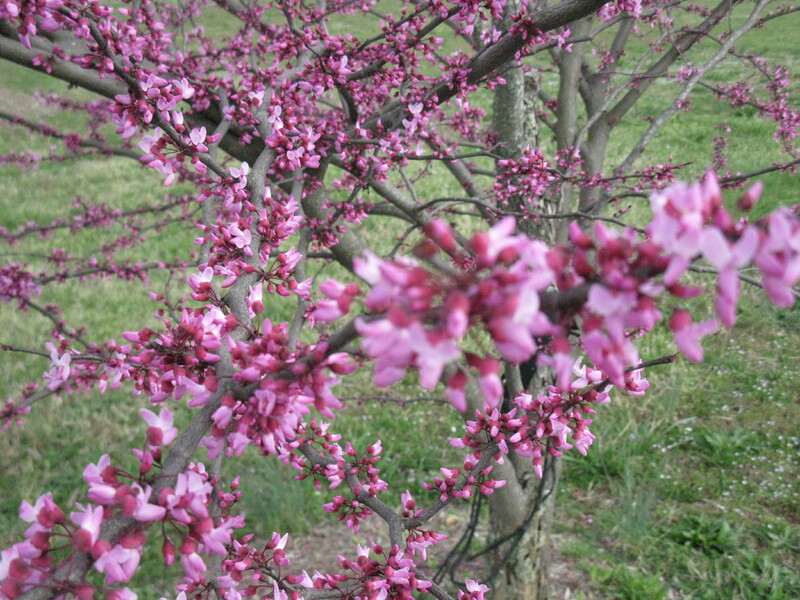 This week is all about the flowers and the blooms on the trees. 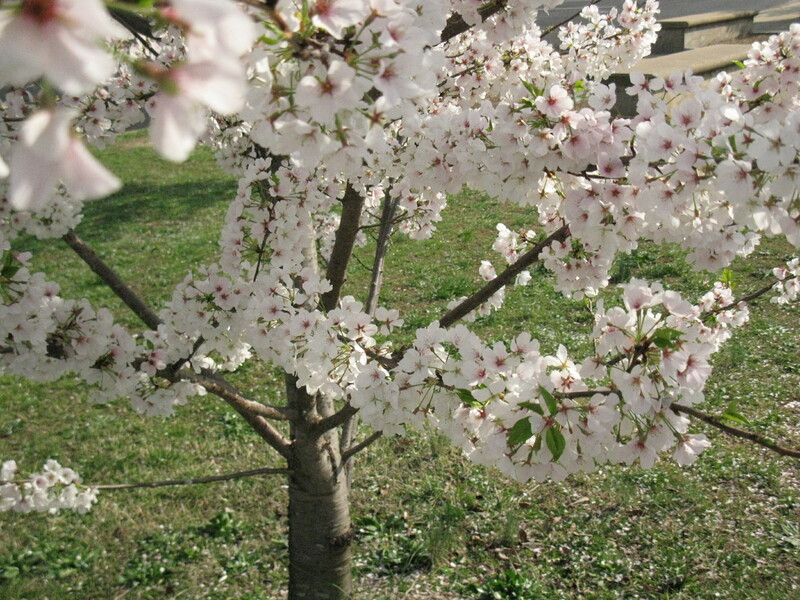 One day I’d like to take T1 & T2 to see the Cherry Blossoms so that they can say they’ve done it … but I’m not a fan of crowds and I don’t want to go solo. I went once with friends when T1 was a baby. She doesn’t remember it. 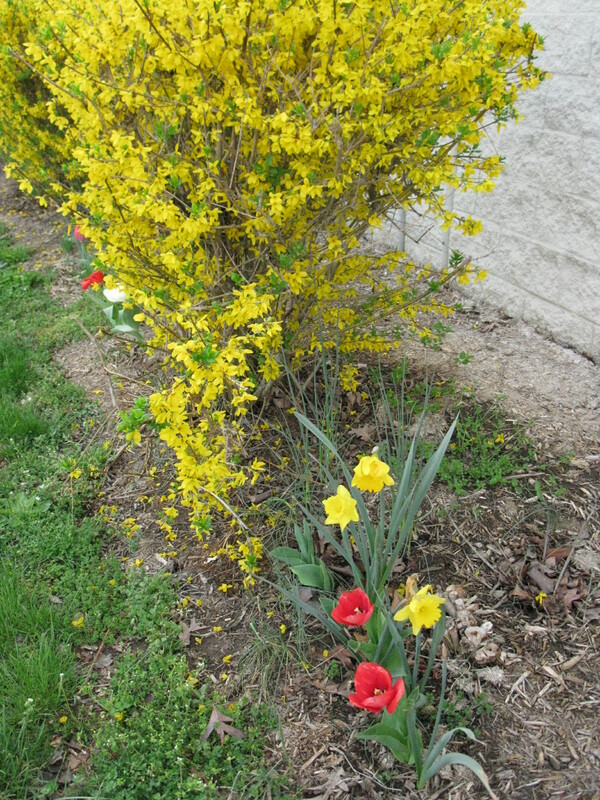 It was cold and dreary but it was great to see that spring was arriving. 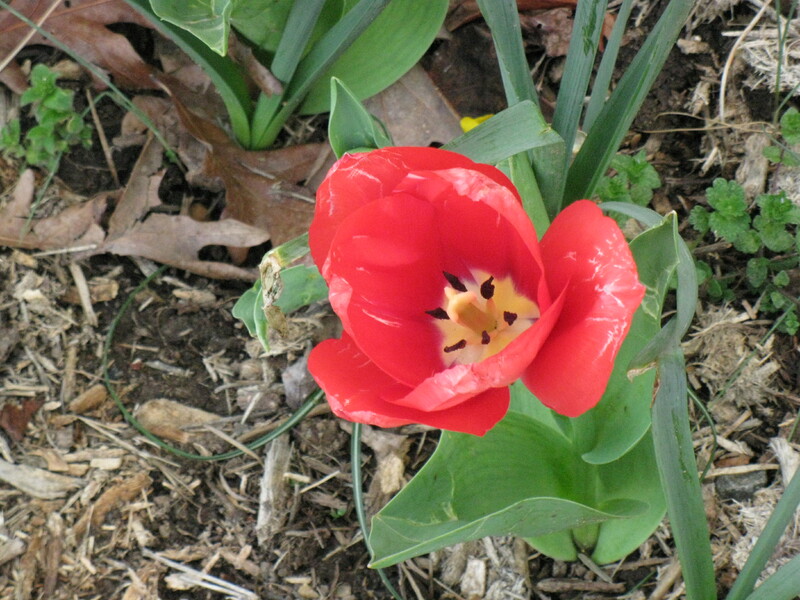 This is a tulip tree in our front yard, outside T1’s window. T2 was with me on a gloriously sunny afternoon. These little pink blossoms caught my eye. 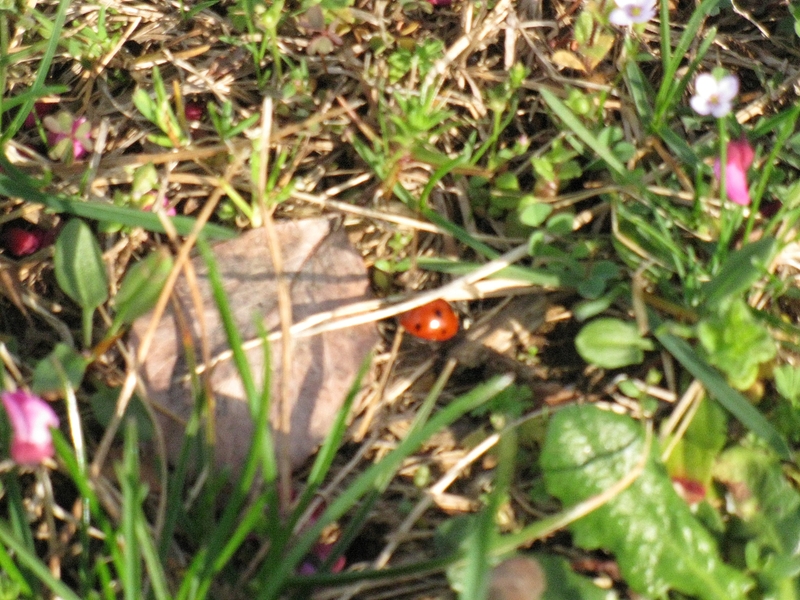 T2’s eagle eye saw this lady bug on the ground. I tried to get it in focus but I’m thinking I either need a new camera or new glasses. Most likely the later. We need a tree identification book. 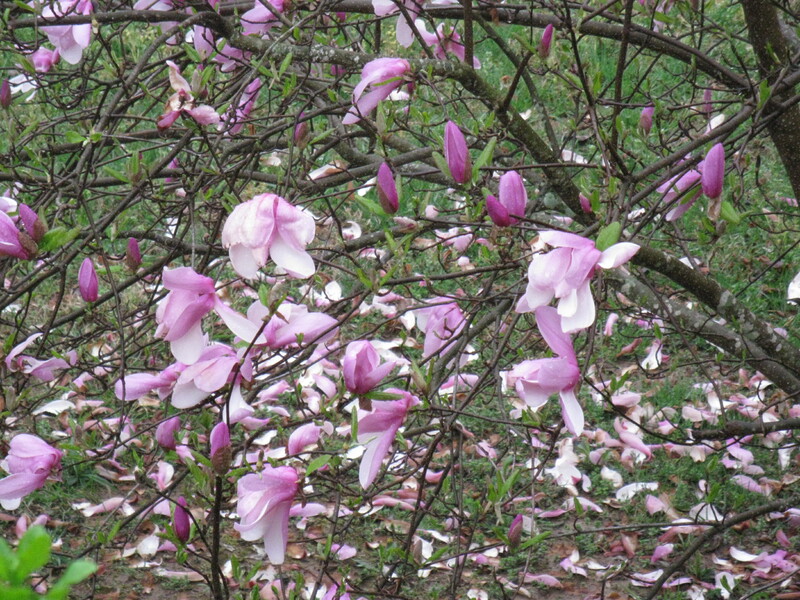 The girls desperately want to see Cherry blossoms or dogwoods. At first I wasn’t sure what this is, but seriously, it looks like the picture on Wikipedia… so maybe it is a Cherry Blossom. A close up of the gorgeous poppy. I always think of my grandfather when I see these. We called him Poppy. 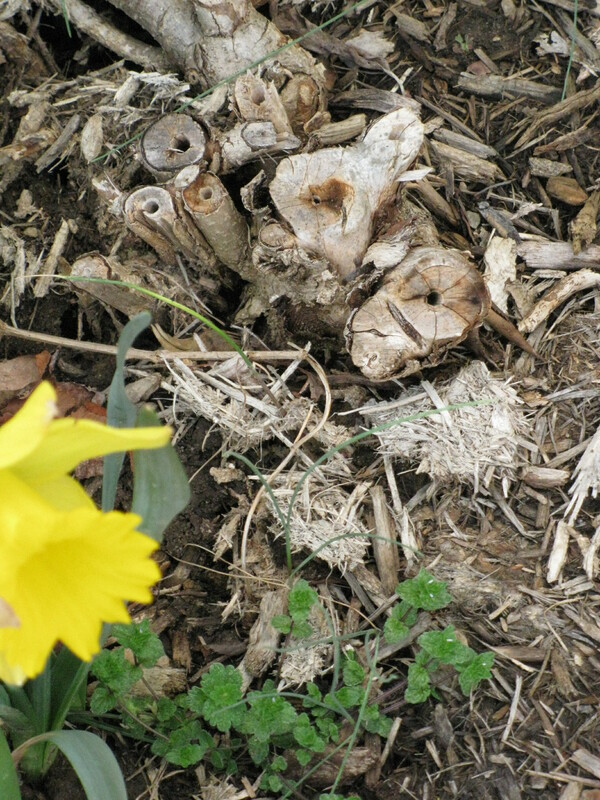 This stump cluster was such an unusual shape but instead of just taking a picture of it head on, I remembered to frame the shot with the yellow daffodil to give it a little contrast and perspective. Aren't you glad this is not just a boring picture of a stump?